The hysteria surrounding the spike in gasoline prices has risen to the level of the late 1970s and early 1980s “oil-crisis” madness. Most of the media is actively participating in the doomsday chorus, and the House of Representatives recently voted 389-34 to make gasoline “price gouging” a federal felony. It is time for some serious economic analysis. First, let us examine gasoline prices expressed in today’s dollars from 1971 to 2005. During the first three years of the 1970s the price has been about $1.50 a gallon, then, because of the OPEC disruption and the Iran-Iraq war, it soared to unprecedented high levels, hitting a peak of $2.70 a gallon in 1981, and then receded gradually, returning to its early 1970s price of $1.50 in the mid 1980s. 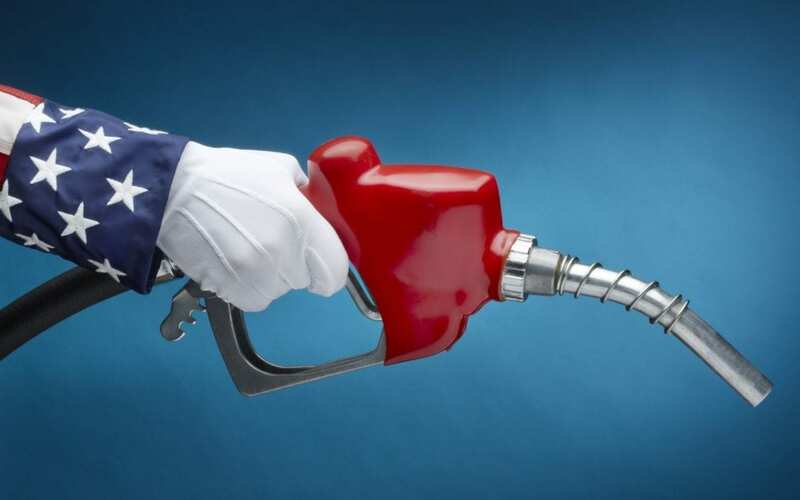 Until 2003, gas prices fluctuated around $1.50 a gallon. In 2003 gasoline prices began a climbing trend, reaching an annual average of $2.31 in 2005. Surprisingly, today our economy is robust despite the spike in oil prices. There are two reasons for this: First, at a price of $1.50 a gallon, due to personal income growth and increased automobile efficiency, the percentage of average household income spent on gasoline fell from 4.5 percent in 1971 to 3.1 percent in 2001. Second, President Bush’s tax cut in May of 2003, supported by accommodating monetary policy, gave the economy a huge boost that easily swamped the impact of rising gasoline prices. Politicians who advocate restoring taxes to their pre-May 2003 level should think again. The present spike in gasoline prices— surprise, surprise— occurred because supply and demand for a change have not been going hand-in-hand. Demand for oil has intensified since the economies of China and India have at long last taken off. But the growth in oil supply slowed down considerably in the wake of Katrina and Rita, the instability in the Middle East and in response to the new ethanol legislation fiasco. That policy forced oil companies to shoulder the distorting 54-cent a gallon tariff to protect ethanol producers. In the short term Congress could alleviate the market pressures by rescinding the ethanol tariff, abolishing— or at least relaxing— the “boutique” regulations that hinder gasoline mobility across the United States, and doing something about the NIMBY (not in my backyard) activists who are responsible for the freeze in the number of oil refineries. Politicians who incite against the oil companies are working for re-election, not for American consumers. In particular they have launched a witch hunt for price gougers. Economic theory is very straightforward on this issue: Price gouging is possible only if producers collude. For example, a lonely wheat farmer in Minnesota cannot raise the price of wheat over the prevailing price in the marketplace. But, if all wheat farmers colluded they could conceivably become a cartel of gougers. Hypothetically, since the oil and gas industry is somewhat concentrated, oil and gas companies could conspire and raise the price to a monopolistic level. However, this is very unlikely: First, charges of price fixing may send oil executives to jail. Second, if oil executives were willing to take the legal risk involved in price fixing, they would collude when the price is $1.50, not $3 -a-gallon, when everybody wants to stick it to them. It is safe to assume that oil executives’ brains do not shrink when gasoline prices rise. Some oil industry bashers advocate slapping the oil companies with profit taxes. Economic theory is also straightforward on this issue: Initially such a tax will not affect the level of production because it will not modify the conditions for profit maximization. In the long run, however, oil companies will have less profit available to reinvest in new drilling and better technologies. The impact on future oil and oil-substitute production will be devastating. So, what to do in the long run? The long run begins in Alaska. The first step to accelerate the supply growth of oil should be taken by drilling in the Arctic National Wildlife Refuge. The environmentalists continue to argue that drilling in ANWR and shipping oil via pipe across Alaska will devastate caribou and other wildlife. Fact is that the caribou herd in the Prudhoe Bay oil field has grown more than sevenfold since the Prudhoe Bay project started in the mid-1970s. Last, but not least, there is a danger in the free world’s relying on the turbulent Middle East for its huge exports of crude oil. Advancing alternative energy resources through selective subsidies or regulations is a bad idea— it leads to economic inefficiencies and political pressure groups that invest time and money in lobbying for even higher subsidies for their specific product. To reduce our reliance on oil from the Middle East we must eliminate the anxiety stemming from oil-price instability. For this end, Congress should initiate setting a floor for the price of oil at a relatively high level, maybe something in a range of $40-$55 per barrel. This could be implemented by imposing a flexible duty on imported crude oil. This is a bad idea whose time, unfortunately, has come. Micha Gisser is professor emeritus of economics, University of New Mexico, and a senior fellow, Rio Grande Foundation.